With all currencies of the world fluctuating in value nonstop, there are of course going to be a huge number of different trading opportunities available to you, no matter when you decide to log into the trading platforms offered by our featured Forex Brokers. However, it is often going to be the case that a trader will prefer using their own unique trading strategy when picking out just which trades to place and the amount they are prepared to risk on each trade they do place. Risk is a very important aspect to you becoming a Forex Broker, for whilst there can be some very substantial and ongoing profits to be made in both the online and mobile Forex trading environments, you do always run the risk of making a loss. Having a deep understanding of the money markets is what allows most traders to make continuous trading profits, however when they couple their knowledge of the money markets with a very well thought out trading strategy that can also reduce the risk of making a loss. With that in mind you may be wondering if there is any way you can minimize your chance of making a loss when placing Forex trades. There are of course lots of different forex trading strategies you may be interested in adopting, however one which does appeal to a lot of traders is something known as a Hedging Strategy. When a trader hedges their trades they are placing more than one trade on the outcome of any two currencies they have paired up together. However, it is worth noting there are only a small number of circumstances when that is going to be financially feasible. With that in mind below is a quick step by step guide which will enlighten you as to how you may be able to hedge your Forex trades, so read on to find out how this can be done. One thing worth keeping in mind is that there are some currencies that are going to allow you to place a much larger range of different trades on those currencies. With that in mind if you do want to have the option of hedging any Forex trade you have placed you should be pairing up some of the major currencies as opposed to the minor currencies of the world. With that in mind make sure you are considering pairing up US Dollars, the UK Pound, and AUD and CAD along with the Euro. By doing so you will find plenty of different types of trades are offered on those pairings which will give you many additional ways to hedge your trades. Having the trading budget to be able to place additional trades once you have several trades already open and live is another factor that needs thinking about. 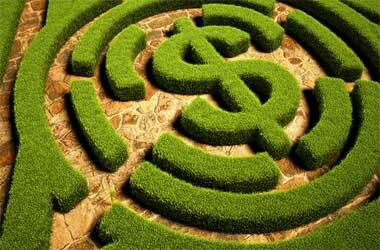 You will never want to experience running out of trading funds when a hedging opportunity arrives. You are going to find that many different Brokers will be offering you some form of bonuses, either when you sign up as a new client of those Brokers or an ongoing bonus type offer may be made available to you. By you making use of those bonuses and promotional offers you can often massively increase the value of your trading budget, and that will obviously see you having a much higher valued trading budget and having enough funds available to allow you to hedge any open trades you currently have active. One way of you then using those bonus funds to hedge any trade is by placing an opposing trade at two different Brokers, but using the bonus funds to pay for those trades. Whilst of course when you place an opposing trade at any two different Brokers one will be a winning trade and the other will be a losing trade. However, as it will be bonus funds you are using to place and fund those opposing trades that mean you will not be using your own real money funds on those trades. As long as you utilize bonuses which only require a small volume of trades needed to be placed with those bonus credits before they become real money funds, then there is a good chance that one of those two bonuses will bear fruit and will enable you to lock in a profit overall, which is what you will of course be aiming to do when hedging your trades.